CB radio antenna is a device designed to takes electrical signals from the transmitter and converts them into radio-frequency signals. 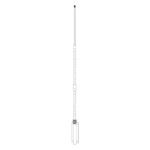 Autotek is one of leading CB radio antenna manufacturers in Taiwan and producing CB radio antenna products for two decades.With more than 25 years of experience, we can manufacture our products with strictly quality control. Our goal is that providing our customers with the best quality, reasonable price and best service. 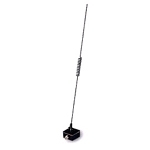 Based on those beliefs, we have become an extraordinary CB radio antenna manufacturer by degrees. Besides, in order to satisfy our customer's needs, Autotek develop and research creative and innovative technology continuously. Our product series including CB mobile antenna, CB handheld antenna, and CB base antenna. If you are interested in our products, please visit our website and contact us with through phones or Internet.